Recuperating from an injury and prompted by an eager young nurse, old-timer Gunnar Nilson looks back at one of his big cases as a private eye in 1950. At that time memories of World War II were still fresh, and Seattle was a cultural backwater. The Ballard neighborhood where he hung out his shingle teemed with working-class folk of Scandinavian descent. Gals with hourglass figures and gimlet eyes enticed men in gray flannel suits with cigarettes dangling from their lips. The case he recounts involves the murder of one of these beauties. Gunnar’s business card is in her pocket, but she’s no client. She’s just a gal he met at the movies; he gave her a ride home and helped her lose the creep who was tailing her. It’s none of Gunnar’s business who killed her, not until he discovers she dated the godson of a wealthy client, a man who’s willing to pay big bucks for Gunnar to nose around. Nose around he does, in the perfumed rooms of Fasciné Expressions, a “rooster paradise” that employed the murdered girl and is frequented by the godson. Schooled to be class acts by a former showgirl, these fine-feathered hens know how to inspire a man to spend big on gifts for his lady. Gunnar believes the victim was killed by one of her customers, but the heady fragrance of perfumed female can make it awfully tough for a guy to think clearly, especially when the killer is also breathing down his neck. After a fall from his roof, breaking his leg, Gunnar Nilson (who must be at least in his late 70s) is spending some time in an assisted living home in Everett, Washington. The date is Monday June 2 2003. He aqppears to have been in the home for a week or two. His new caregiver is young Kirsti Liddell, working at the home for the summer. Kirsti finds out that Gunnar was once a private investigator in Seattle. She persuades him to spend time with her when she is off duty telling her about one of his cases. She proposes to make a written record of her interviews which she can submit for an extra credit paper in her college course. Gunnar chooses an investigation into a murder that began over 50 years earlier, June 7, 1950. This provides an interesting plot construct. Kirsti records Gunnar's story on a tape recorder so that she can transcribe it. Their interviews take place over a number of sessions. Seattle has changed a lot in 50 years, and of course in 1950 the second World War is only just over, so Gunnar is able to talk about how the war affected various people, and what life was like then. The novel is filled with interesting characters particularly those who live in the boarding house where Gunnar resides. This is a debut title. T.W. 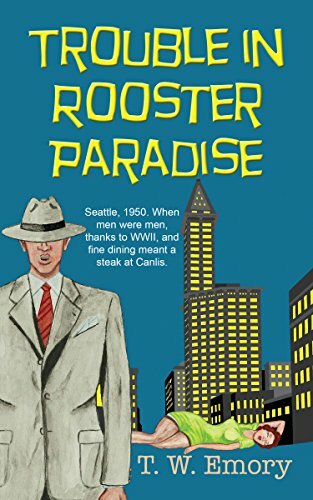 Emory was born in Seattle, and is of Swedish-Norwegian heritage, which helps explain the little bit of Scandinavian flavoring to his post WWII Seattle-based detective novel, “Trouble in Rooster Paradise.” He lives and experiences his workaday world north of Seattle. 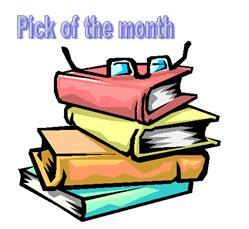 He is an avid reader, and in addition to writing mystery fiction in his off-hours, he also cartoons as a hobby. 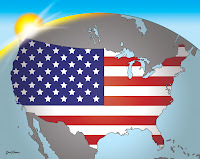 For more information, go to twemoryauthor.com. Been a long time since I've visited. Great to see you are still blogging books. I will have to stop back by and see what you've read in the cozy genre of late!